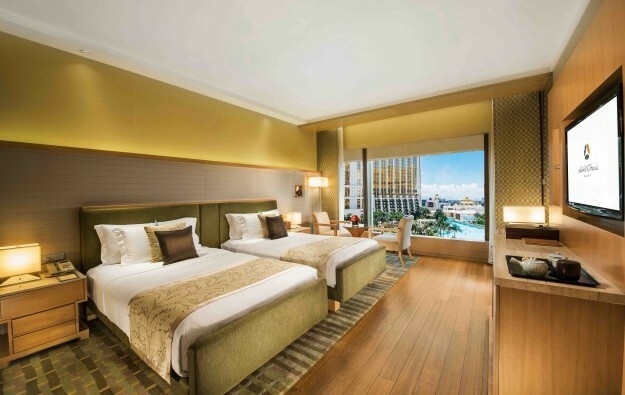 A soft opening of the 191-room Hotel Okura Manila at the Resorts World Manila casino resort is planned for “fourth quarter, 2018”, said Travellers International Hotel Group Inc in a Friday filing to the Philippine Stock Exchange. It also noted the formalising of a partnership between Travellers International and Japan’s Hotel Okura Co Ltd to operate the new hotel unit. Travellers International is a joint venture between Philippine-based Alliance Global Group Inc and Hong Kong-listed Genting Hong Kong Ltd, the latter controlled by Malaysian conglomerate Genting Bhd. Hotel Okura Manila is Hotel Okura Co’s second venue to be located in a casino resort in Asia. The Japanese brand has Hotel Okura Macau at Galaxy Macau casino resort, located in the city’s Cotai district. The Japanese hotel group aims to expand its global portfolio to 100 properties, primarily in Asia. In Turkey, in the far west of the continent, the firm has announced an Okura-branded hotel for Cappadocia, due to open in 2019. In the Asia-Pacific region, Okura hotels are planned in 2020 for Manila, the Philippine capital; Phnom Penh, the Cambodian capital; Ho Chi Minh City in Vietnam, and Yangon in Myanmar in 2020. In Taiwan, the city of Taichung is to get a Hotal Okura in 2021, added the Friday filing. Travellers International had announced a deal with Hotel Okura Co in September 2014 for the latter to run an Okura-branded hotel in an upcoming casino property in Manila’s Entertainment City. The Westside City Resorts World project – formerly known as Bayshore City Resorts World – was originally expected to be open by 2018; but the inauguration of the scheme is now scheduled for 2020. “The Philippines, especially Manila, is a very promising market considering the nation’s gross domestic product (GDP) and population size, both of which are growing fast. The local hotel business is benefiting from these and other favorable trends,” said Toshihiro Ogita, president of Tokyo-based Hotel Okura Co, in a statement included in the Friday filing. Resorts World Manila’s current portfolio of international hotel brands include Marriott Hotel Manila; the “soon-to-open” Sheraton Manila Hotel and Hilton Manila; and Remington Hotel, which is soon to be rebranded as Holiday Inn Express, according to Travellers International’s Friday filing. The hotel brands Sheraton and Hilton are both part of Resorts World Manila’s phase three expansion project, which would also include “additional gaming and retail facilities”, Genting Hong Kong stated in a filing in August.